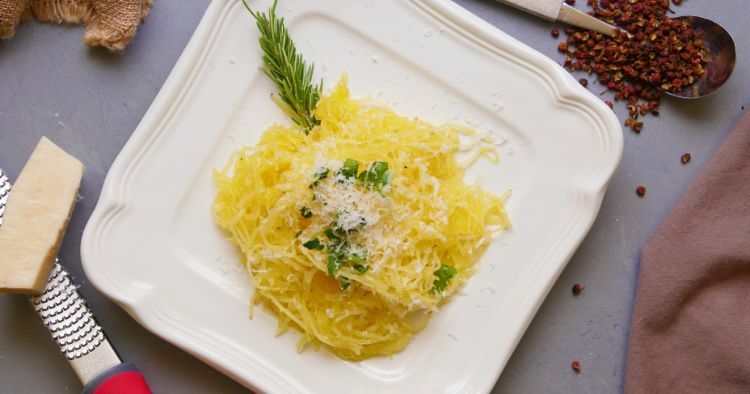 Whether you’re on a low-carb diet or just trying to eat more vegetables, spaghetti squash comes to the rescue as a delicious, non-starchy pasta stand-in. Of course, taking a bulbous winter squash and turning it into noodles might seem to require some serious kitchen magic. The Instant Pot makes it quick and easy to transform this unassuming gourd into long, noodle-like strands that can be topped with pasta sauce and even twirled around a fork just like its namesake. On its own, you might say spaghetti squash can be a bit light on flavor. And that’s if you’re being generous. But its blandness is actually a favorable attribute if you want to use it as a pasta substitute. Because its flavor is so mild, it is easy to pair with any of your favorite pasta sauces — from hearty, meaty Bolognese sauce to herby pesto or creamy Alfredo. Place the trivet into the Instant Pot, and add the water. Place the squash on top of the trivet, cut-side up. Sprinkle salt and pepper over the squash. Close the Instant Pot, and turn the valve to the sealing position. Cook on high pressure for 7 minutes. 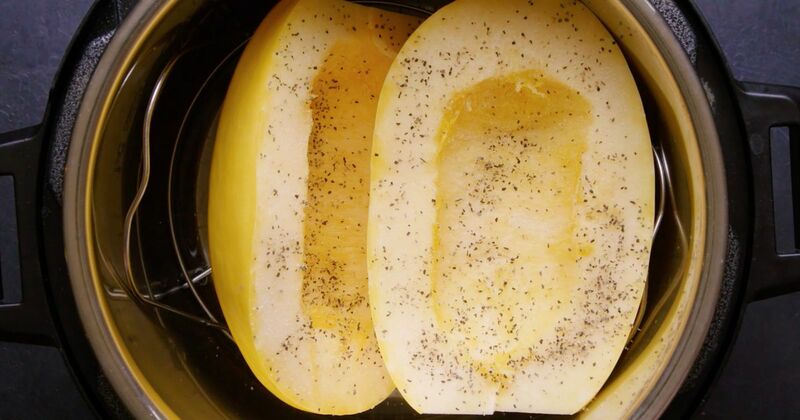 Remove the squash from the pot, and use a fork to shred the flesh into strands.